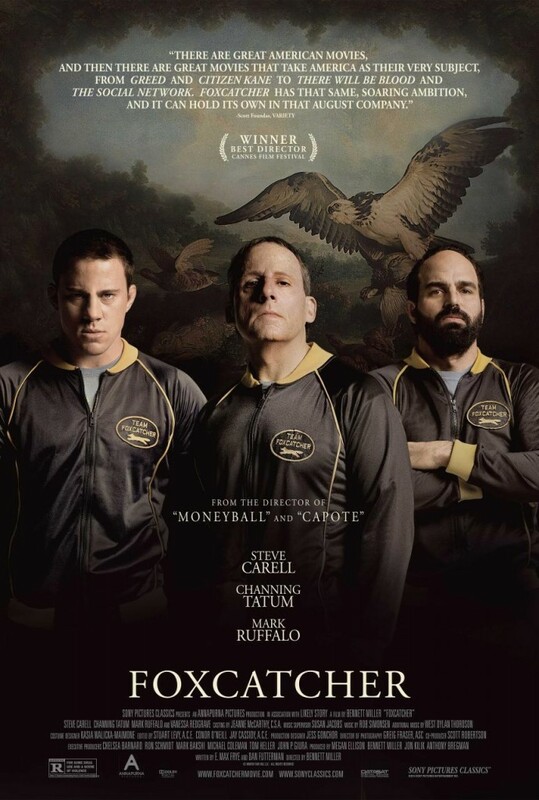 Movie Smack Talk Movie Review: Foxcatcher (2014) - An excellent psychological exploration of Du Pont. 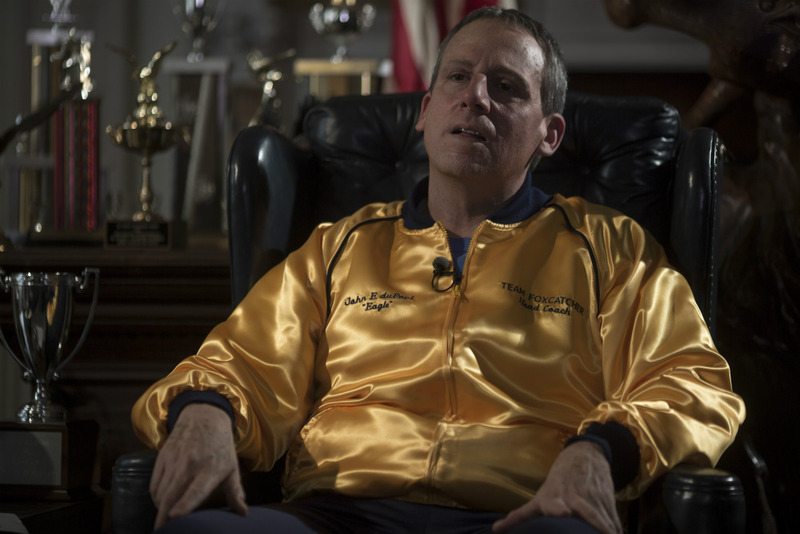 Movie Review: Foxcatcher (2014) – An excellent psychological exploration of Du Pont. Steve Carrell seems to have a gift for picking the right movies. Whether he’s doing a romantic comedy, a drama, or a straight out quirky comedy, he seems to know what films work. When I saw that he’d recently starred in a dark drama, I had my misgivings. I mean, he’s an excellent comedic actor, but that doesn’t always carry over to straight drama. I have to say though; he knew what he was doing when he picked this script. 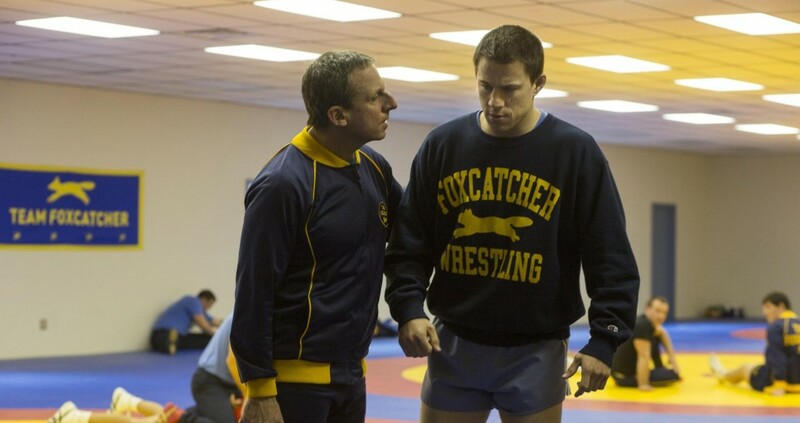 Foxcatcher is based on true events from a criminal case in the late 1990s. 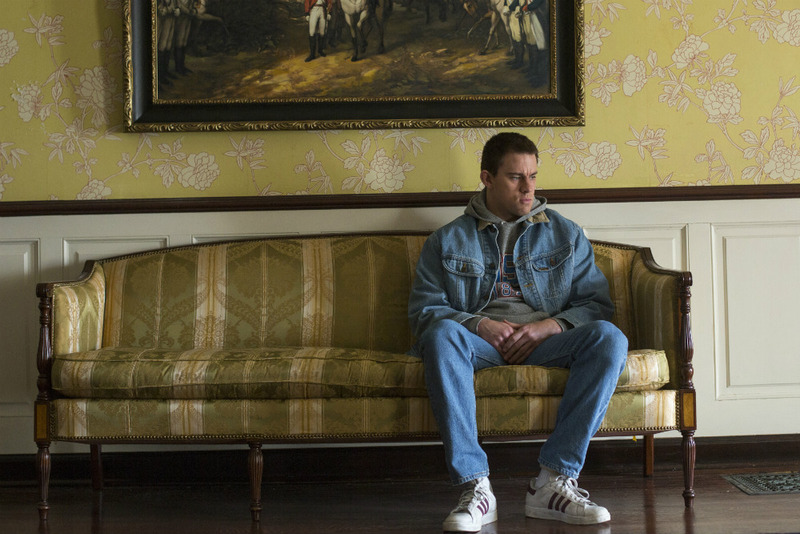 It circles around the story of John E DuPont (Steve Carrell) and his mother Jean (Vanessa Redgrave) and their complex, codependent relationship. Two ambitious pro-wrestler brothers Mark and Dave (Channing Tatum and Mark Ruffalo) catch DuPont’s eye and he attempts to ride their coattails to glory. When DuPont offers Mark $25,000 to train at his facility, Mark readily agrees while brother Dave elects to stay at home. This drives a wedge between the two brothers that leads to a tragic outcome. In 1996, the real John DuPont shot and killed Dave Shultz, for reasons that are still unknown, in full view of three witnesses. He was initially found incompetent to stand trial, but was later convicted of murder, though his sentence was commuted due to the fact that he was also considered mentally ill and not fully responsible for his actions. One of the things that makes this movie so well done is the way Steve Carrel managed to completely embody the character he was playing. Du Pont was known to be awkward and uncomfortable in social situations. His initial friendship with Mark is painful to watch, as the two speak in almost stilted dialog with lots of awkward silences. Carrel also makes du Pont’s motivations for ‘adopting’ the wrestling brothers sketchy and a bit sinister. In a way, he views these brothers in the same way his overbearing mother views her horses. They’re a way to buy prestige without having to work for it. Another excellent note on the movie is the way they allude to the possibility that du Pont had some homosexual leanings, without actually admitting to them or him making any kind of pass. For much of the movie, you’re torn over why du Pont is drawn to the young, handsome Mark. Is he in love with him, or is it because he thinks he can ride on Mark’s championship coattails? While the movie tries to stay true to the events leading up to the major headlines of 1996, it’s not to be considered a crime story. It’s more a look into a man that is “slightly off”, extremely insecure and his journey to be taken seriously; A root for the underdog movie that goes wrong. I think this movie is an excellent psychological exploration of du Pont’s character and motives. It’s clear the producers did their homework. While the movie is not very fast moving and gets a bit sluggish at times, it’s still incredibly well done. This is not a sports movie for people who are desperate for edge of your seat, beating the odds, stories. This is more of a psychological drama along the lines of Bull Durham. The movie is more about the characters than it is the sport and at the top of our list on the Oscar’s watch. WE GIVE IT: 4.5 STARS! Official Movie Trailer and Movie Poster Below.